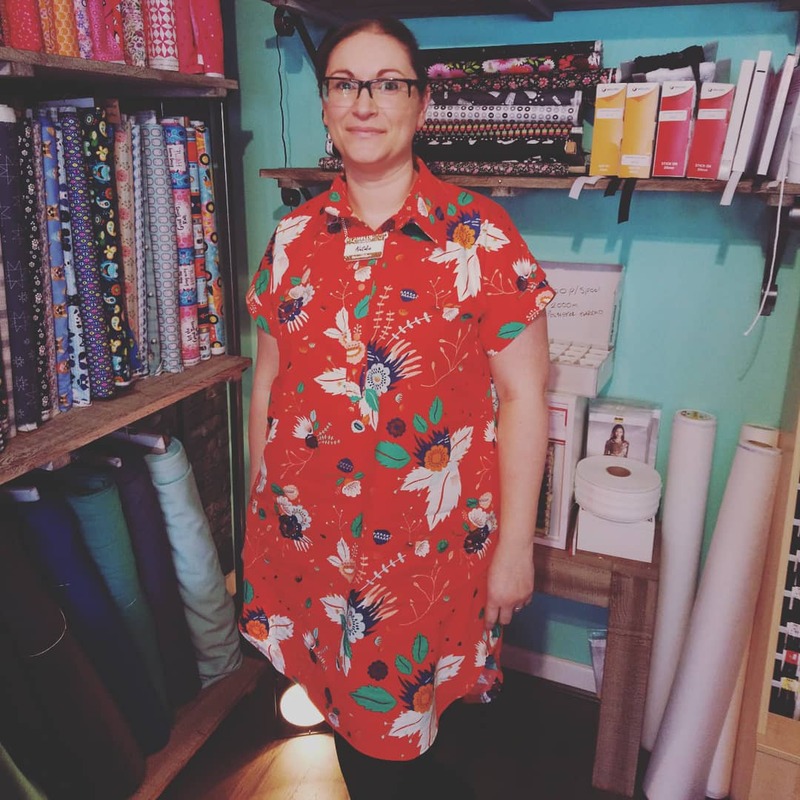 The Kalle shirtdress from closet case patterns was the choice for March's sew my style. One of the great things about Instagram sewing challenges/projects is that they are often my introduction to patterns I haven't previously come across. 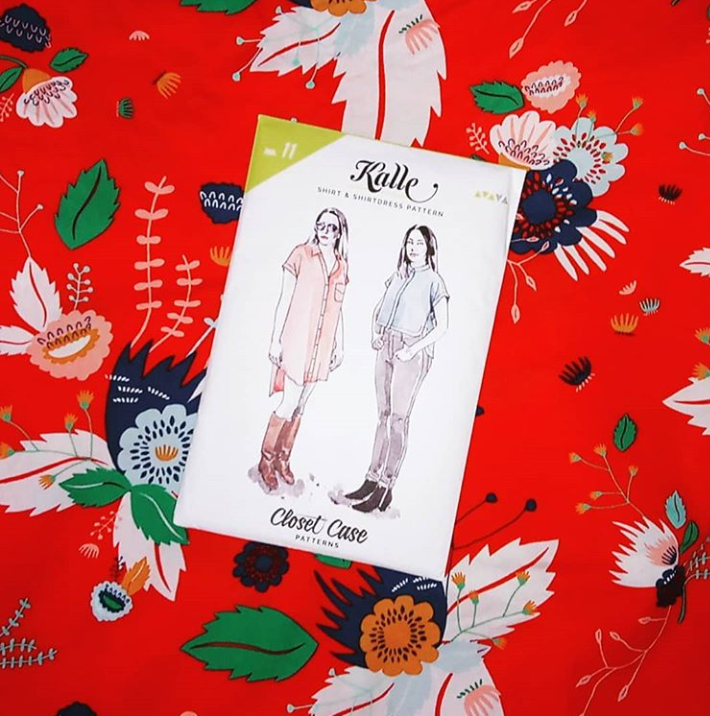 This was my first time using a pattern from Heather Lou of Closet Case Patterns, I'd been looking at buying Ginger jeans or the Kelly anorak but the Kalle shirtdress had somehow skipped my attention. When I spotted this art gallery fabrics quilting cotton called Odessa traditionale at sewmesunshine I immediately thought of the Kalle shirtdress. Although the Tallinn collection by Jessica Swift is inspired by her travels through Eastern Europe it immediately made me think of dessert flowers. Maybe it was those cowboy boots on the packet illustration that had kept popping up on my Instagram feed throughout March but I just couldn't get this fabric x pattern pairing off my mind. My first thoughts about this pattern were how versatile it is. There are 3 lengths; cropped, shirt, shirtdress. 2 collars; standard and band. 3 plackets; popover, concealed and button. Not to mention the option of an inverted or box pleat on the back. 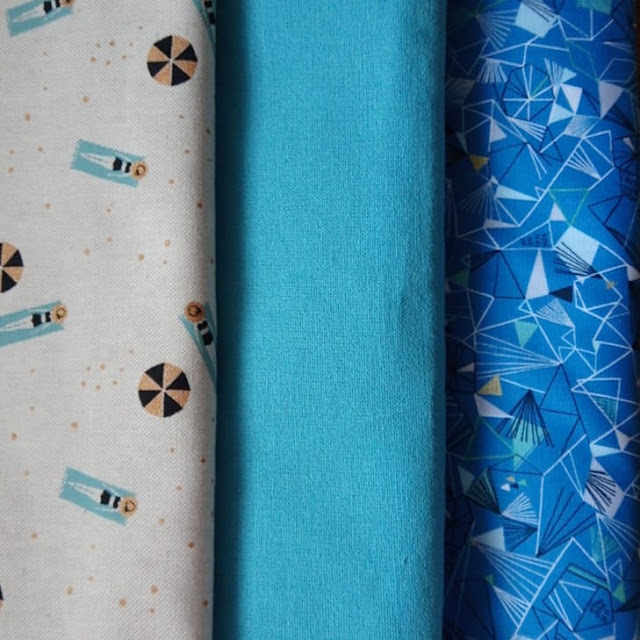 All these options are mix and match so with this one pattern I'll be able to make a wardrobe full of tops/shirtdresses. The pattern instructions were really easy to follow and there is also a sewalong on the closet case website. I've also been introduced to my first ever fabric burrito!! So, basically the fabric burrito is a method for sewing together the shoulder seams in a super neat finish with all seams enclosed. Check out the sewalong as it's covered really well there. The options I went for in this Kalle were the inverted pleat, standard collar, popover placket and shirtdress length. Another first for this make was the use of poppers. I bought a mix pack of prym colour snaps containing red, orange and pink snaps. I was fully expecting to use the red snaps on this project but it turned out the orange were a perfect match! I was a bit disappointed with the lack of instruction for the snaps. I'd also purchased the prym vario pliers and there was no help there either. Luckily YouTube came to the rescue and once I'd got them inserted I was really happy with them. 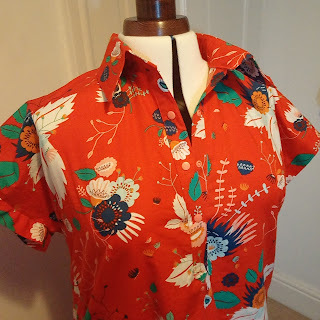 First outing for my Kalle was to an overlocker workshop at Fabricate Robertown. 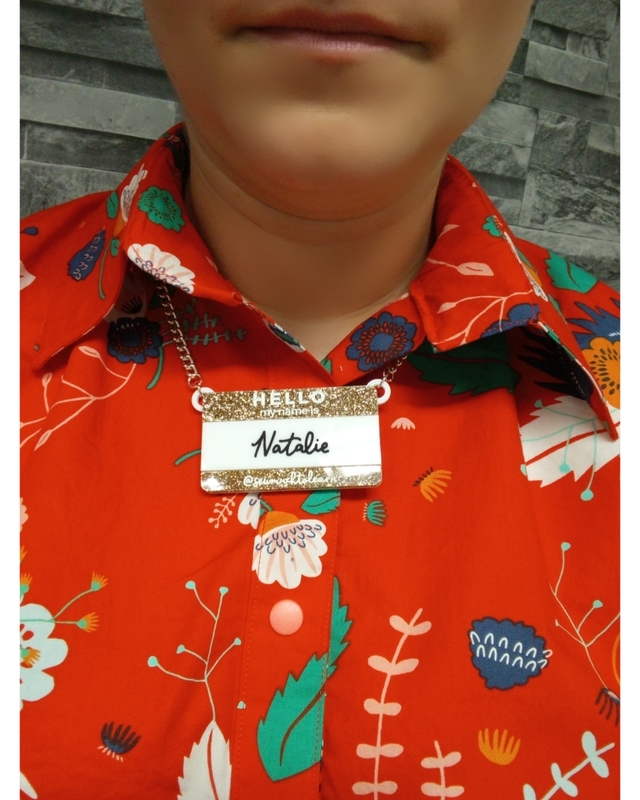 It was the perfect excuse to wear my onr shop x finest imaginary name necklace too! I wasn't too sure about the size of the collar at first but once paired with a necklace I felt more comfortable. This was such an enjoyable make. 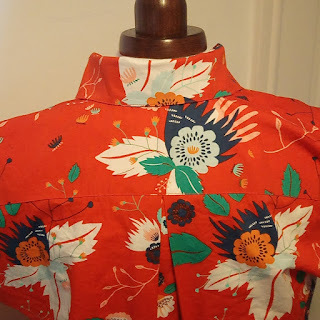 I'm so pleased that the sew my style project brought this pattern to my attention. At the end of 2017 I supported a kickstarter campaign for a new sewing pattern company. My handmade wardrobe is the latest venture of Sarah and Freya of crafty sew and so. 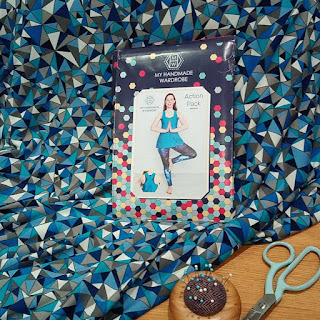 I attended their launch party in January where I got to see samples of their first 4 releases; The action pack, all the cute skirts, the everyday amazing shift dress & top and the cosy jersey dress & tunic. 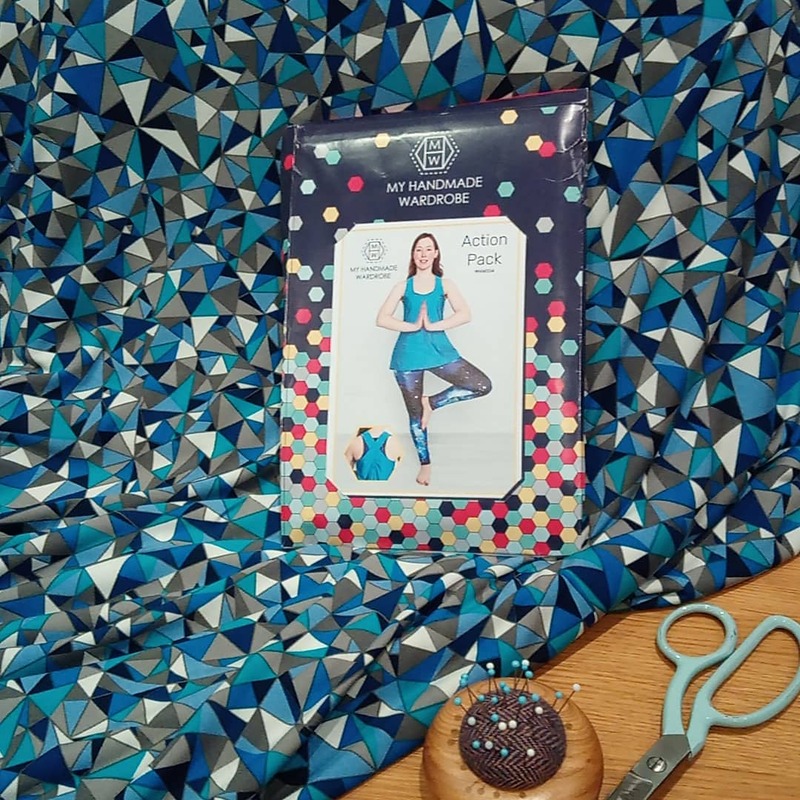 I promptly purchased The action pack which contains patterns for leggings and a crossover back swing top, of which I wanted to make the leggings. 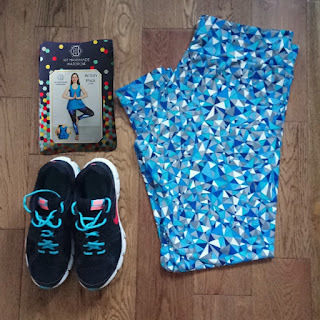 I wasn't really sure what I was looking for in a Jersey suitable for leggings. A decent stretch, recovery and opacity are required but are all characteristics that are difficult to judge when buying online. 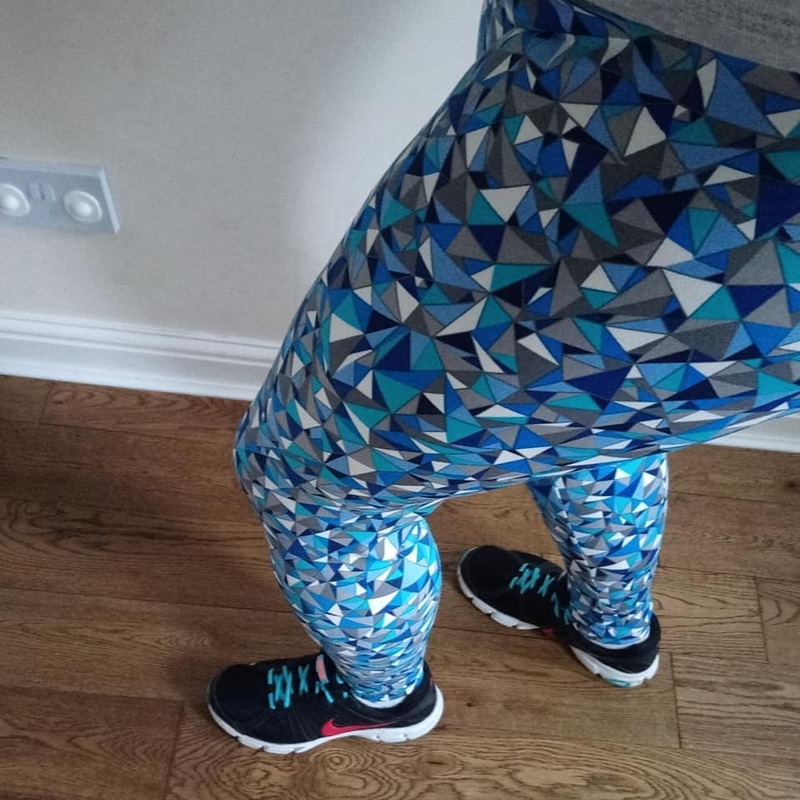 In the end I decided to look for jerseys that said suitable for leggings in their product description! 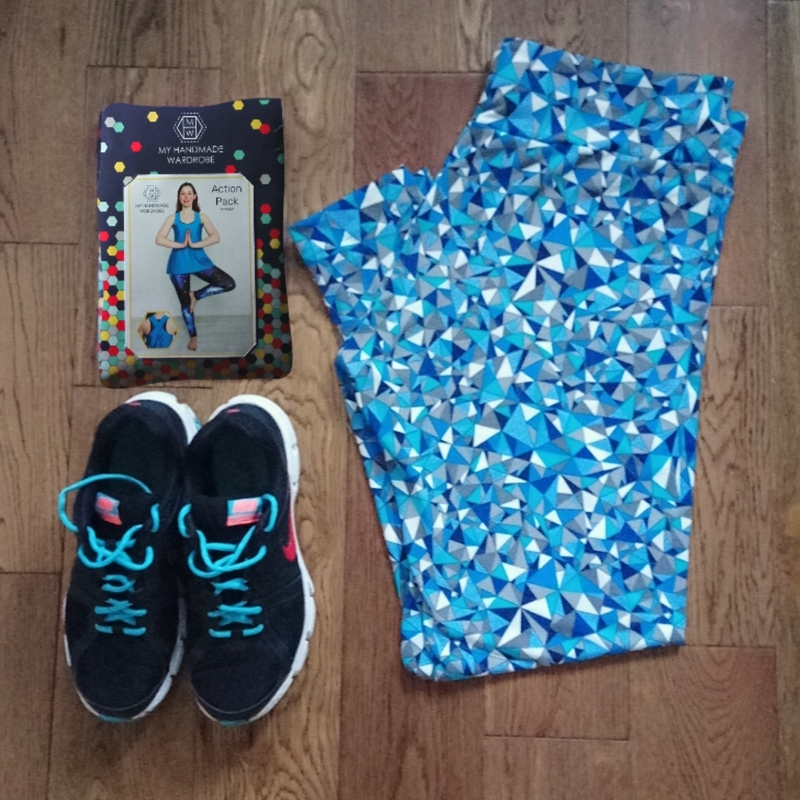 This 'kaleidoscope jersey' caught my attention as I loved the geometric pattern and it reminded me of sportswear leggings I've seen on the high street. Better yet it was described as being suitable for leggings. The MHW paper patterns are printed on good quality paper stock. Being firmly in team trace I find this makes things so much easier for me! Tracing and cutting out was helped further by the fact the leggings are made up of just 3 pattern pieces; leg panel, front waistband and back waistband. The action pack is suitable to be sewn entirely on a regular sewing machine. As I've recently got an overlocker I was keen to see the difference it would have on my next jersey make. 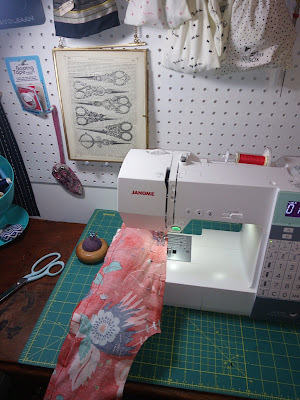 I used my overlocker for the majority of this make only switching to my regular machine for the addition of the waistband and hemming the legs. I'm hoping that the use of an overlocker will help banish splitting seams, especially in the crotch area! I couldn't believe how quickly I was wearing a pair of leggings. Now to decide if these are going to be active wear or lounge wear...they're comfy enough for either I think. A while back Harriet from sewmesunshine wanted feedback on new things to stock in her online habedashery. I suggested some canvas weight fabrics as I'd like to give bag making a go. 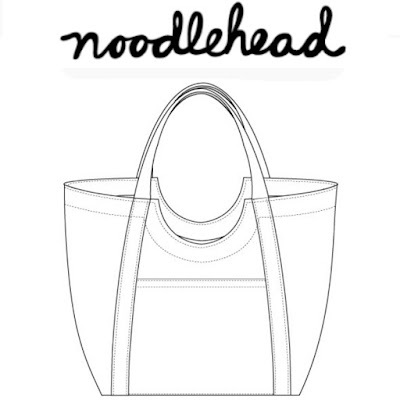 I've liked the look of Anna Graham's Noodlehead pattern range for a while. Her bag patterns come with the added bonus that you can sell your finished wares. When I saw that sewmesunshine had started stocking a cotton canvas called 'relaxing on the beach' I had to purchase a metre! It's a cotton canvas with a small sunbathers and parasols pattern on a natural background. So I had my canvas for a bag, which pattern to choose? 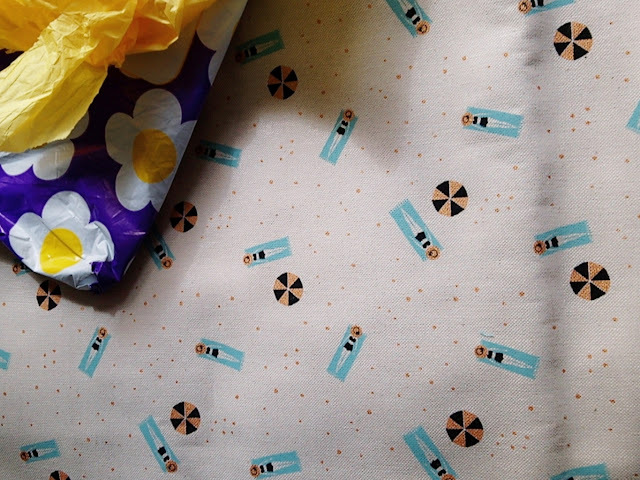 It was immediately obvious that this fabric would make the perfect bag for holidays. 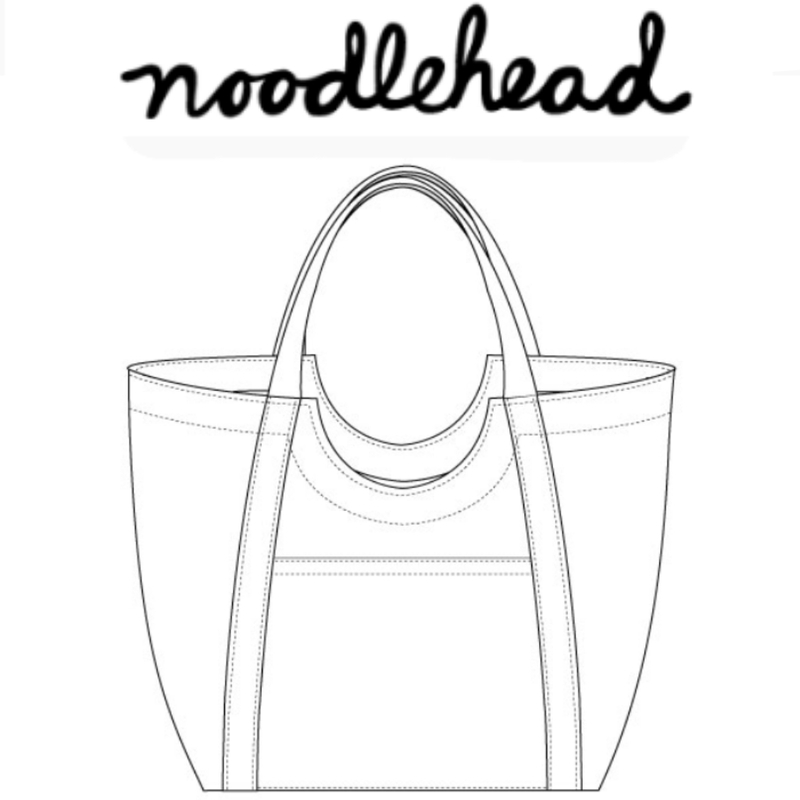 Looking through the noodlehead patterns available the poolside tote seemed the perfect match. 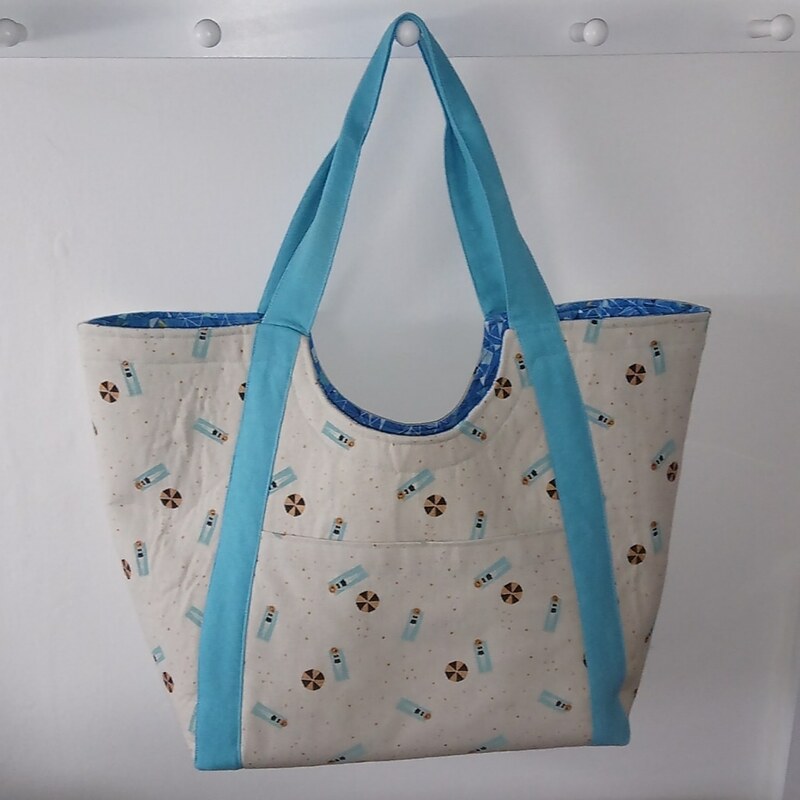 Described as a roomy tote that can hold 4 beach towels I hit add to cart right away! I chose the PDF format but paper copies are available from some UK stockists. I don't normally like PDF patterns that are A4 only but at 13 pages of which only 6 are your pattern pieces it wasn't a cut and stick nightmare! The bag was a quick and easy make, the most difficult bit was deciding which fabric to put where. After much deliberation I used the solid linen for the interior lining and handles, the quilting cotton for the pocket linings and facing and that fabulous relaxing on the beach canvas centre stage as the exterior. 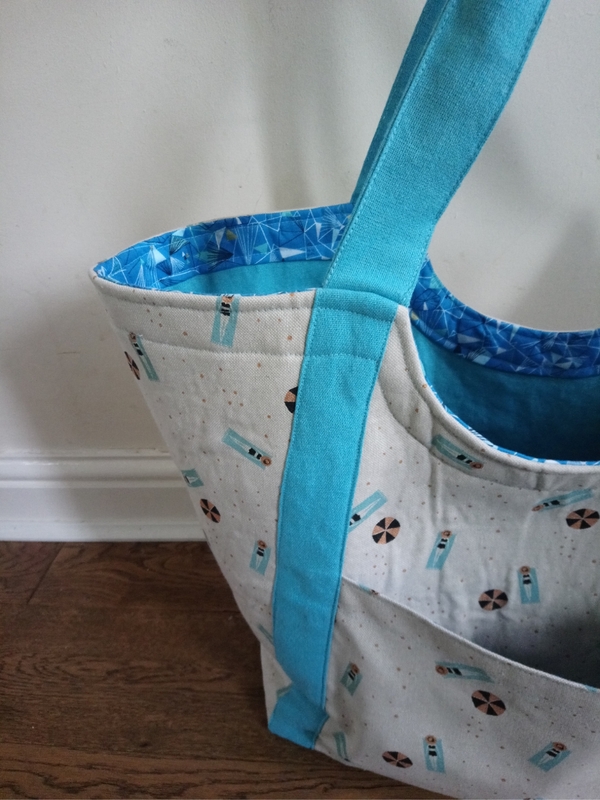 I also chose to interface my exterior fabric in a fusible fleece as I wanted it to add a little extra body to the bag. I didn't interface any of the other pieces. Ive already taken my poolside tote on a family trip to the local pool and can confirm it stood up to the test of multiple towels, clothes and swim toys. Hopefully it's next use will be in an exotic beach location...probably not! I think this could be a great tote for carrying your craft stash or an alternative to a nappy bag. Im already looking at fabric combinations to make another.